“The pain was awful … Energy… I had none. I barely had enough to get up and get through the necessities of my day. To try and add anything extra in there with a busy household, with a very active husband … at the time, I still had 2 older children at home and grand-kids. I had no energy and I lost friends over it, because I’d have to cancel things. Do you want to go out to dinner tonight? No, can’t do it. What do you want to do? Nothing. I literally had no energy. Like I said, I lost interest in my favorite things, my scrapbooking, my horses … just doing anything was difficult. Even walking down to the corner and back was almost impossible. This went on for a long time. It’s like a 180 degree turn. I’m sleeping at night, I’m up in the morning, I’m back in school, I’m riding my horses and walking my dog, I’m active around my house, I’m in my yard doing gardening. 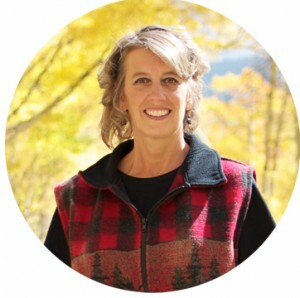 I’m almost finished with my schooling, a lot of my energy goes towards my studying but I feel great.” – Kim Y.
Dr. M: Hey Kim, thank you for joining me. I thought you might be out riding horses or something. Kimberley: I wish I was, it’s a little windy today. Dr. M: I’ve probably got maybe a dozen patients right now who ride horses … it’s quite interesting because I don’t think it’s common thing, at least not in the world that I move in. I had a number of patients who that was one of their big goals, is they want to get back on their horse. I had one of my patients just share her story, she wanted to get back to riding again. We’ve got a picture of her on her horse riding, it’s a great story. Tell me about where you were before we met. You have had this for a while and you haven’t felt good in a while … you had quite a bit of pain. In your questionnaire, you put your number 1 complaint was pain and you had 4 explanation points beside it. Tell me where you were before we started working and where you’re at now. Kimberley: When I finally found you, I was still in serious pain. I was almost non-functional. The pain was debilitating enough that it affected every part of my life. I basically got up, moved through the first part of my day … I usually felt better in the morning until I get to lunchtime. Then I’d take some more NSAIDs and try and get through my day but by 5o’clock, I was done. I was painful, my arthritis, my hands hurt badly, I didn’t want to do anything. My favorite thing in the world is to ride my horses. When I didn’t want to get off the couch to go out and spend time with my horses, that was a huge red flag for me. Something is really wrong. It was all over body pain, it wasn’t just located in any one spot. It was ankles, knees, feet, hands, elbows, shoulders … you name it, it hurt. That was really depressing. It just added to the bigger picture because I couldn’t function without some kind of pain. It’s exhausting. Dr. M: Definitely. How long did you have pain like that? Kimberly: I had had pain like that for about 5 years. It came on suddenly. In 2000, I had been working out with a personal trainer for a while, and all of a sudden I’d come home from my workout and I would be very sore, unusually sore. I thought this is odd, it just kept progressing and progressing. My training contract came to an end and then I realized I was sleeping all the time. I was very painful. I’d get up after sleeping all night, I’d do a few things for an hour or two and then I would go back to sleep for 3-4 hours. I would get up, I would function for a few and I would go back to sleep for a couple of hours. This was my day. My husband used to tease me, you’re resting up to go to bed. Yeah, I kind of have to … it just was this great big nasty ball of a cycle that I couldn’t free myself from. Dr. M: As you mentioned, the pain not only is it painful but it wears you down. It makes you exhausted. Your energy was really, really low when we first started working together. Kimberley: Energy, I had none. I barely had enough to get up and get through the necessities of my day. To try and add anything extra in there with a busy household, with a very active husband … at the time, I still had 2 older children at home and grandkids. I had no energy and I lost friends over it, because I’d have to cancel things. Do you want to go out to dinner tonight? No, can’t do it. What do you want to do? Nothing. I literally had no energy. Like I said, I lost interest in my favorite things, my scrapbooking, my horses … just doing anything was difficult. Even walking down to the corner and back was almost impossible. This went on for a long time. Dr. M: Tell me about your energy now. Tell me the difference from where you were to where you are now, what has changed? What can you do now that you couldn’t do then? Kimberley: It’s like a 180 degree turn. I’m sleeping at night, I’m up in the morning, I’m back in school, I’m riding my horses and walking my dog, I’m active around my house, I’m in my yard doing gardening. I’m almost finished with my schooling, a lot of my energy goes towards my studying but I feel great. Much of it was what I was eating, I had no idea. I thought I was eating healthy but my body didn’t think the same way. Dr. M: Yeah, you did great on the diet. You lost quite a bit of weight. How much weight did you lose on the diet? Kimberley: I’ve lost about 25 pounds total that I’ve been able to spot consistently. I’m still going, I’m still working on it and I’m finding that if I slip up and eat something I shouldn’t have, my body tells me immediately. I just put that on my list of things to avoid. I learned to ignore comments from other people, it’s like this works for me and this is what I’m eating right now. I’m happy with it because I feel good. Dr. M: Absolutely. I think a lot of people get really concerned when they read some of the testimonials that I have and yours will be one of them, they get concerned that oh my gosh I won’t be able to eat anything. I’m going to have to eat twigs and seeds and it’s going to be real dramatic … being candid about it, it is a big change. No doubt about it. It is work as we heard earlier, but would you say that it’s worth it? Kimberley: Absolutely. I tend to be a comfort food, emotional type eater. When I didn’t feel good, the first thing I wanted to do was put something in my mouth to bring my energy level up and “make me feel better.” Actually what I was doing was making me feel worse, because it was kicking me in the inflammatory process. It was no wonder I hurt so badly. After the first round of tests, I pretty much found out that everything I was eating on a daily basis was affecting me. I had to really make some big changes and one of them was putting some variety into my diet, not eating the same foods every day, day after day. That’s been difficult but it’s been fun, because I’ve been able to play with recipes … I’ve never been hungry. Truly, I’m not starving and I’m not hungry. Dr. M: You shouldn’t ever be hungry on this diet, you’re right. Kimberley: I have to ask myself, is it an emotional thing, am I thirsty or am I really hungry? Is it really time to eat? More often than not, I’m thirsty or I need to go find something to do. The eating plan works well, it works very well. Dr. M: I think the great thing about the diet is losing the weight for some people is super, super important. Some of them get off blood pressure medication, statins, if they have diabetes that goes away … they’re able to get off a lot of medications. The real game-changer is you learn how you’re connected to food. Until you do something like this process, you don’t realize that the foods that you eat day in and day out make you feel good or make you feel bad. They can determine are you going to be healthy or not. We know that because we’ve heard that, but we’ve become jaded to it and we don’t realize that what we eat on a day to day basis, if we change it we can see improvements not in a year or 20 years … it’s not preventative, it’s a treatment that you can feel in a matter of days. You can see your pain go down and energy go up. Wouldn’t you agree? Kimberley: I would absolutely agree. It took about 5-6 days before I actually slept through the night. I was so excited when I got up the next morning and I realized I had slept through the whole night. I called my daughter who also has fibromyalgia and I said, “You’re not going to believe this but I just slept through the whole night.”I texted her the next morning and I said, “It’s been 2 nights in a row” and she said you’re kidding. What are you doing? She has been following me pretty closely, the changes and my husband has seen the changes. At first, he was very skeptical because he’s not a natural medicine kind of person. As he saw me change and the way I was eating changing and the fact that I was sleeping again, I was a much more pleasant person to be around, he got behind me. We’d go out to dinner and he’d say, Kim can’t have some of these things because she’s really working on this diet plan for her fibromyalgia. People would go, “What, really? Tell me about it” and I could share it. He’s been a big support for me through this, which is nice. I’ve been very blessed to have a man in my life like that who has gotten behind me and helped me. I’m blessed to have you there because you held me accountable every other week. Having that accountability hanging over my head was another motivator for me, because it’s easy to get discouraged. Dr. M: Yeah, it is. That’s why I asked you earlier, when people see these success stories they think it’s about taking a handful of supplements or it’s about doing some radical diet. It’s one or the other, but it’s really a combination of things and everybody is different. You had issues that she didn’t have and she had issues that you didn’t have. You don’t like taking a bunch of pills, you’re not a pill person even though they’re supplements. everybody has got these certain things that we’ve got to do, and once we can get you past those things and get that working … in your case and hers as well, sleep was huge. Once we get those things corrected, it’s like a snowball. It just starts building, it gets easier and easier and easier. Kimberley: It truly does. Because you’re feeling better and you’re excited about these changes, it’s exciting to keep going and see what can I do next? I’ve tried not to focus quite as much on the weight as I had early on. Gee, I’m really happy with where I am right now and who I am right now. That was a big revelation for me. I can be comfortable in my own skin finally. I’m not some model-sized 10 or anything, but I’m me and I’m happy and I feel good for the first time in years. I can put that out to other people and they ask questions or they say, “Wow you look great, what are you doing?” I can share it, I can just be me and be comfortable being me, which is huge. I didn’t have that before I started on your program. Dr. M: It’s not about getting down to a certain size, it’s really getting to the point where you feel healthy. Some people don’t need to lose weight, but they do the diet anyway and they still get the benefits. It’s not so much about losing the weight, it’s just getting healthy and that’s what you’re seeing going through this process. We’ve talked about the diet. Tell me about the supplements. Have the supplements that I’ve recommended that you’re using, have those made a difference and why do you think that they have if they have. Kimberley: Absolutely they’ve made a difference. I knew I had adrenal fatigue on top of everything else. 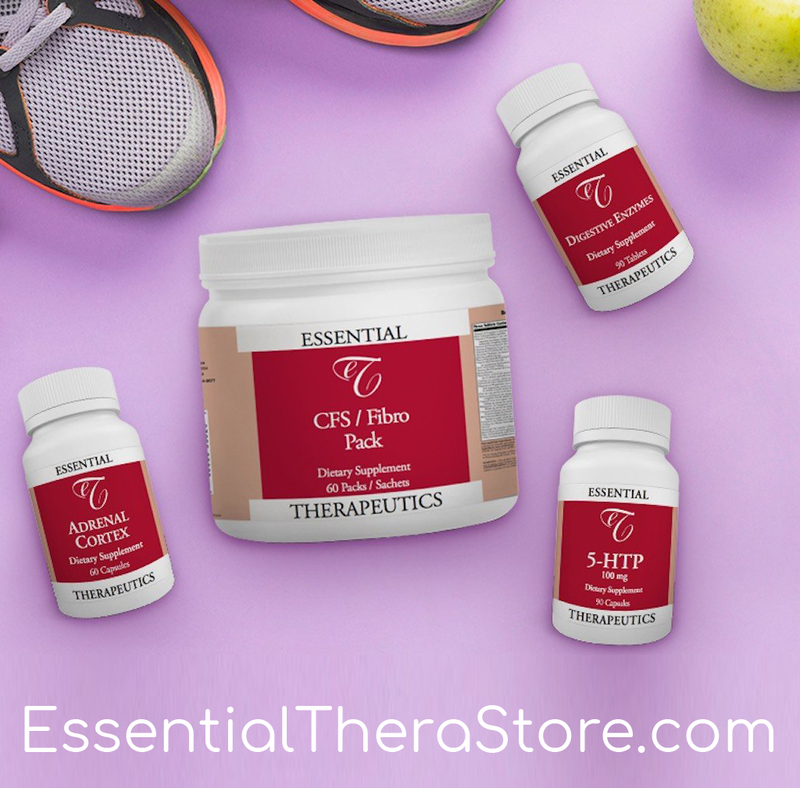 Having the 5-HTP to help with the sleep was huge. Having the adrenal support and the liquid vitamin support, I discovered was really amazing because my body used it well. I had been taking a capsule vitamin product for years from a company that I really like, but I switched to the liquid and I noticed a huge difference. My skin cleared up within less than 2 weeks. I was amazed, so I kept on with the different supplements. My energy level increased with the SAM-e. I felt instant results on the SAM-e as far as helping my energy levels. It would hit 9o’clock at night and I wasn’t crashing. If I missed the dose or I didn’t quite get them taken when I should have, I noticed a difference. I really do feel that the supplements helped my body heal and helped put me back on a path that allowed me to get my life back. Dr. M: What would you like to share with those who may be listening or listen to a replay? 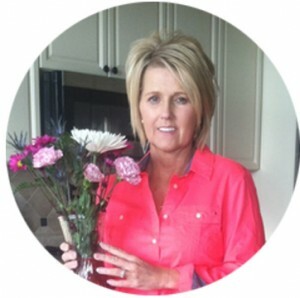 What would you like to share about the experience that you had working with me in a get healthy program? 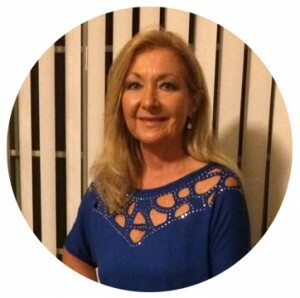 Kimberley: I would highly recommend to anyone that’s struggling with the chronic pain and fatigue of fibromyalgia or any of the symptoms, that they jump on this program, spend the time and invest in themselves to get their life back. Truly, this program works and I had been told that I needed to lose weight and I needed to take Tylenol the rest of my life. I didn’t want to do that. When I found your program and I read about it online, I went wow. This fits, this is doable, this makes sense to me. It’s been worth every struggle, every positive experience, every brownie I’ve turned down … it has been worth it. You will fast find that your life will return, and that you can be successful with this. 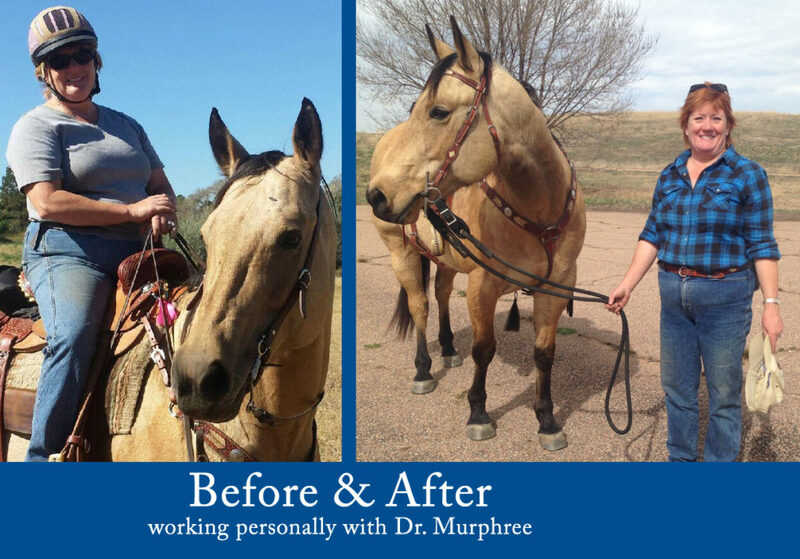 Dr. M: I so appreciate you sharing that and I love, love, love seeing the pictures of you up on the horse, hearing about you riding and being able to enjoy what you love. That makes all the discouraging words that I get online and the insults that I get, it makes it all worthwhile. It makes it worth continuing to put the message out there that it’s not about learning to live with it, it’s learning to overcome it. You’re a testimony to that, it can be done. If you did it, anybody can do it. Kimberley: That’s true. If I can do it, anybody can do it. It is so worth it. You just have to take that step, believe in yourself and believe in the process and believe in Dr Murphree because he is a gem, let me tell you. This is a great program and I really appreciate all you do to put it out there, so that average people like me can find it and have a life again. Thank you. Dr. M: I appreciate you saying that. I look forward to talking to you soon, we’ve still got some work to do. You’re doing great and I look forward to talking to you soon. Dr. M: Have a great night. Kimberley: You too, thank you so much. Dr. M: You’re welcome. I want to thank both Gina and Kimberley. It takes a lot of courage not only to reach out to somebody that you don’t know, but also it takes a lot of courage to do the things that you need to do to get well. A lot of times, you get so beat down and as you just heard, what’s so great is that it’s worth it. Don’t let anybody ever tell you that you can’t do it, that you just have to learn to live with it. That’s just not true. Dr. M: You’re welcome. I want to thank those that joined me tonight. I want to thank Kimberley who joined me from Colorado and Gina from Mississippi. I want to thank those of you who tuned in tonight to listen to them share their story. They’re happy to share their stories, it means a lot to them to do that. We really celebrate that with them and I appreciate those who are on the call celebrating with us. If the stuff that I’ve mentioned tonight resonates with you, you’re sick and tired of being sick and tired, if you’ve no tread the book then I would encourage you to definitely get the book. It’s 564 pages, there’s a lot of material in there and I realize that, but it’s hopefully presented in a way that you can get through it and understand everything that I’m trying to share with you based on 20 years of doing this. What I didn’t want to do is write another fluff-fluff book that tells you that you need to get more sleep or exercise, you need to get less stressed and meditate, do yoga … I’m sorry but that’s worthless. If you realize once you get into the book that there’s a lot of stuff in here and I can’t figure this out because I’m too complicated, I just don’t know what to do, then that’s when you set up a phone consult. Maybe you’re at that point now, you’re just fed up. You’ve had this for so long and you just want somebody to get to the bottom of what it is that’s causing all these symptoms, and you just want to feel good. You don’t want to try to figure out anymore. You don’t want to go on the internet and try to do all the research, try this and that and see if it helps … maybe it’s time for you, just like it was for Kim and Gina to set up a phone consult or if you’re close to Birmingham Alabama, come here and do a consult. 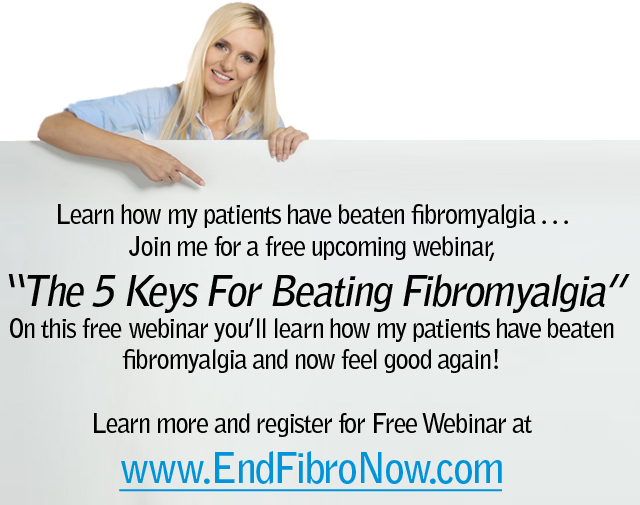 You can learn more about that at www.FibroConsults.com. If you’ve got any questions, my staff is happy to help in any way they can. They’re wonderful people and you can find the number there on the website www.YourFibroDoctor.com. Well, I finally have read one of your testimonials. WOW. And yes I’ve been diagnosed with fibro, also am Type 2 diabetic and have spinal stenosis (spelling?). I take a hand full of pills in the AM and again in the PM. I’m currently facing surgery for a systic leasion (sorry for spelling). I’m tired of it all. That being said I would like to know more and am willing to try. Two drugs I’d like to get off of are Rayos (a form of prednizone) and Lyrica. (not to mention the others). And the biggest thing I want to do is STOP SMOKING. So, all that being said, do you have a book I can get to help me? Gratefully yours, Margo. If love to help. 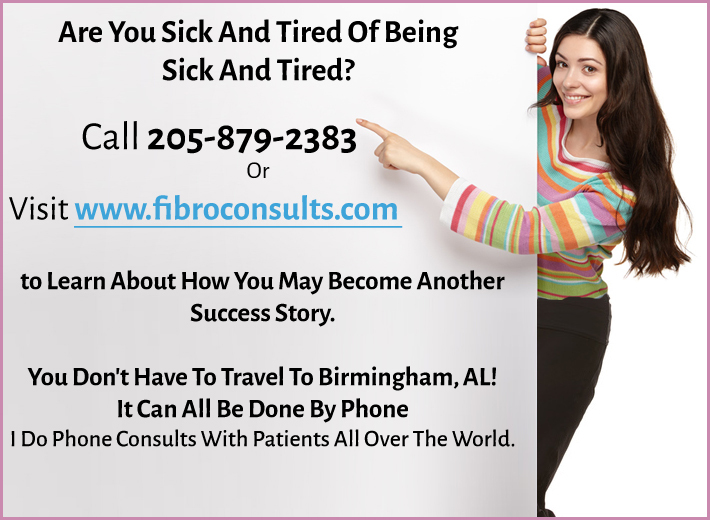 Please call the clinic 205-879-2383 or go to http://www.fibroconsults.com to learn more about phone consults.